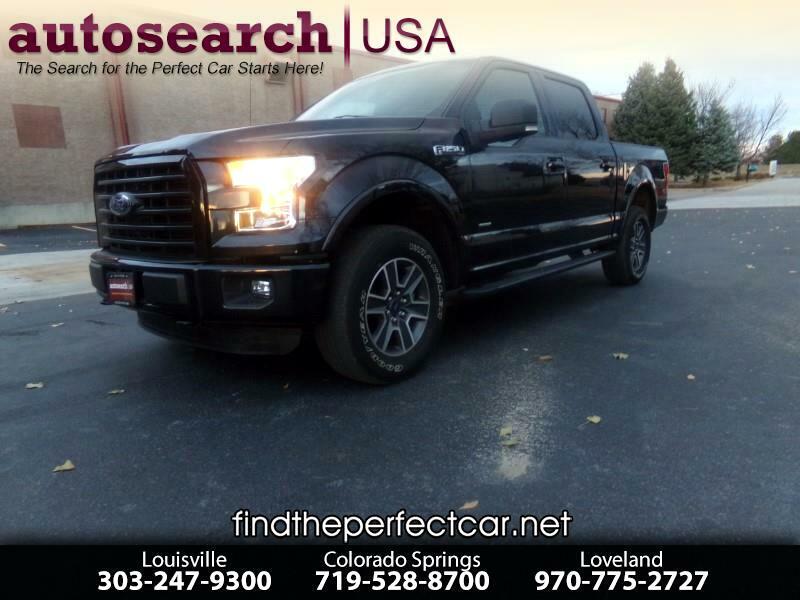 MUST SEE: CALL FOR BEST PRICE: 303-247-9300 This is an immaculate 1 owner, lease return vehicle. Owned by a previous non-smoker who took great care of this car and performed all required maintenance. This truck is still under the factory power-train warranty that covers all engine, transmission and 4x4 components. Additionally it has passed our certified pre-owned inspection to qualify for an additional 100,000 mile bumper to bumper service contract. Equipped with the hard to find Sport appearance package this truck is loaded with options including: Powerful Ecoboost motor, Upgraded equipment group 302A, trailer tow package with integrated electronic trailer brakes, big screen navigation system, heated cloth seats, power sliding rear window, remote start, rear view camera, reverse sensing system, LED bed lighting, upgraded 18” six-spoke alloy wheels, black-out grill, center console with multiple power outlets, blue-tooth with voice activated commands and so much more. The Tuxedo Black paint adds a high touch of class to this super reliable truck. Priced below the market for a quick sale. Please call to schedule your immediate test drive. AutoSearch USA provides leasing and financing assistance to all applicants. If this truck is not your “Perfect Car” then call us. We specialize in locating, mechanically inspecting and delivering any make or model of vehicle you desire. We have served thousands of clients in the last 20 years and would be privileged to serve you. If you are looking to avoid the hassles and headaches of shopping from traditional dealers you should call us at 303-247-9300 for a uniquely pleasant way to purchase your next car.